Carnosine is a naturally-occurring dipetide, concentrated in the brain, heart, liver, other organs, and skeletal muscle. It has multifunctional antioxidant and oxygen free radical-scavenging characteristics. Carnosine may help athletic recovery and performance. Research has shown that carnosine inhibits AGE (advanced glycation end product) formation and may help brain and neurological health. 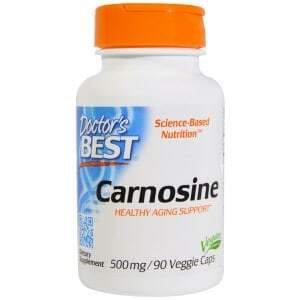 May help vegetables and vegans to increase carnosine lacking in the diet. Take 2 capsules daily, with food, or as recommended by a nutritionally-informed physician.